Really Good Carmel Corn – Crystal T.
This carmel corn recipe is to die for and oh so easy. I made it one night in our glass Kitchen Aid bowl — which was super useful because it has a lid (that way I could stop myself from eating). 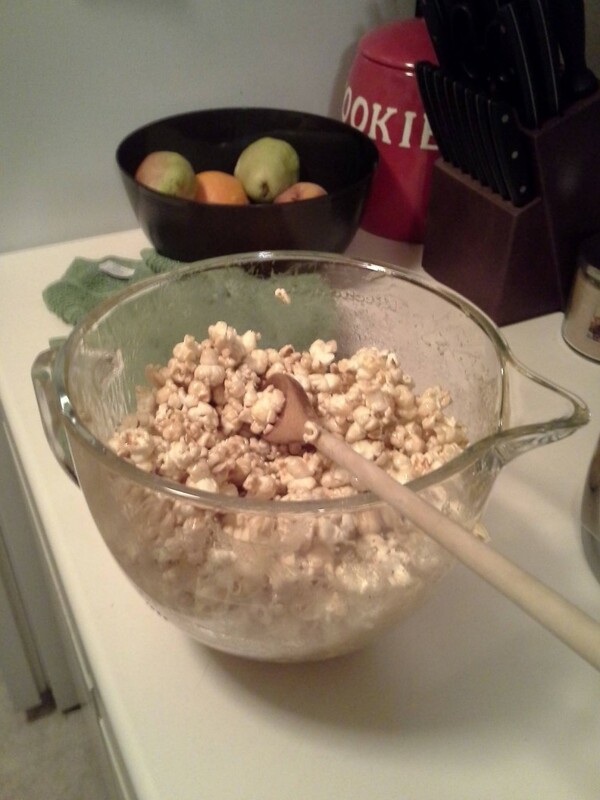 Really Good Carmel Corn -By Crystal T.
Melt butter and add syrup and sugar. Boil for 1 minute. Pour over the popcorn a little at a time while stirring the popcorn. Allow to cool and enjoy!